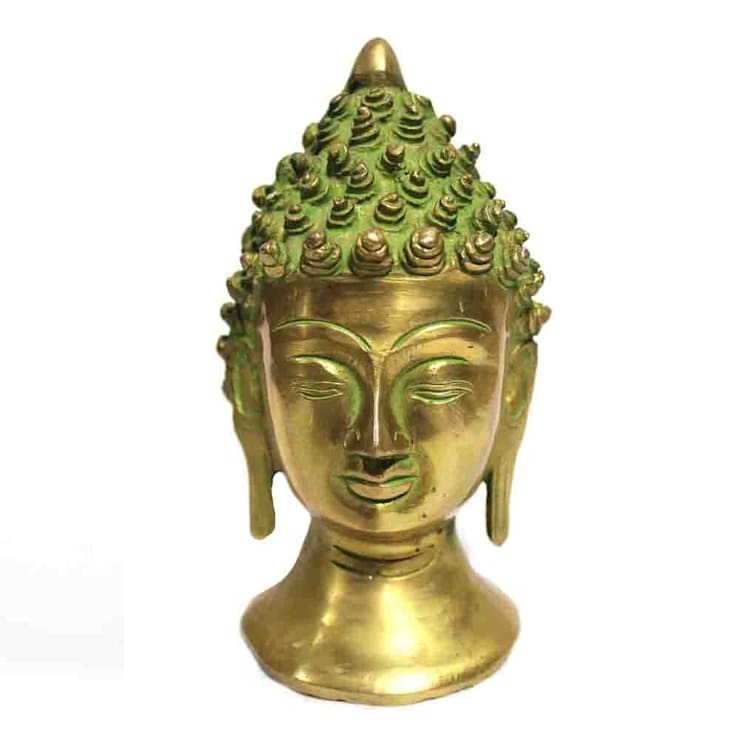 Green Patina Finish Brass Buddha head statue has a peaceful expression with his eyes downcast in quiet contemplation. His earlobes are stretched from him wearing heavy gold earrings in his princely youth. His hair is arranged in tight, sea shell shaped curls. It measures approx 3.5 x 3.5 x 6.5 inch.